Use Coupon Code SUMMER50 for a 50% savings now through August 25, 2017! 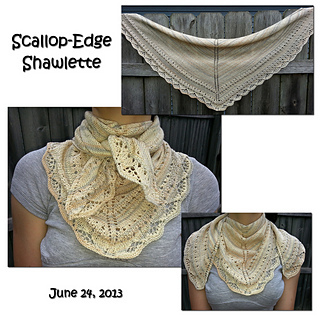 This shawlette is knit from the center-top down and makes use of increases on each right side row to form a triangular shawl/shawlette/scarf. 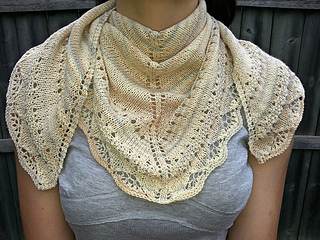 The two-stitch garter border is incorporated into each row. This pattern is rated with a difficulty level of “Beginner”. 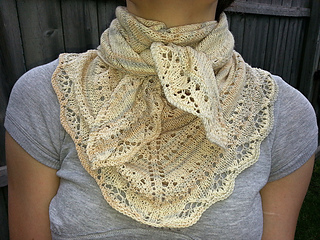 While incorporating both lace and texture, you will only need a basic understanding of shawl construction, and knowledge of knitting techniques for both increasing and decreasing stitches to create this shawl. 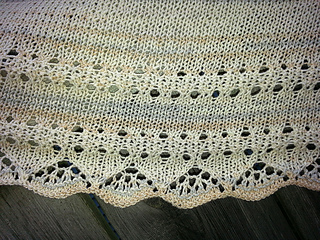 The size can be easily adjusted by using larger or smaller needles and/or lighter or heavier weight yarn.